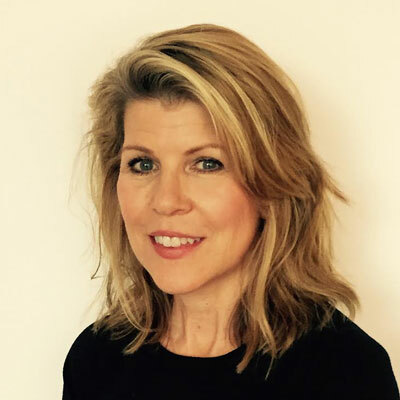 In her role as Principal Director/VP, EMEA Channels for Sungard Availability Services, Karen Falcone is responsible for building and managing the EMEA Channel Program and Sales organization. Sungard Availability Services globalized its Channel Program in early 2016. Karen was brought in to grow the EMEA Channel organization to support aggressive growth targets in the UK, France, Ireland and the Nordics. Karen has an extensive background in building channel programs and developing relationships with alliance partners to drive joint go to market (GTM) activities. Prior to her post in EMEA, she was Global Director Service GTM at Dimension Data. Before this she spent 19 years at Sungard AS, most recently as the VP of Strategic Alliances with responsibility for building and managing partnerships with the very largest global technology companies. Karen's expertise is around defining value propositions and creating effective GTM programs for our Key Alliances like Dell EMC and AWS as well as our regional channel partners. Her team's success results in effectively driving pipeline and revenue for the Sungard AS Sales organization and our Partners! Over the past 18 months, I have moved the channel organization from a historical opportunistic approach to a programmatic approach, adding experienced channel team members, evolving the direct sales mentality to embrace partners, signing 40 partners across EMEA and driving increased leads from partners. With my team, we successfully took two key Global Alliances - DellEMC and AWS and established the EMEA GTM for each earning executive sponsorship at both organizations across EMEA. We are well placed with both and have been invited to sponsor key events such as their Sales Kick-offs, Summits, Transformation Days, etc. We have successfully gained mindshare from Sales Leadership and Executive Management with our well-defined value propositions which are tightly aligned with their sales objectives. We expect both to contribute materially to our growth plans for 2018. We have already seen results of our joint sales engagement in our pipeline and closed business. The above is extremely strong advancement in our channel business, as before 2017, SGAS EMEA did not have any channel relationship with AWS or DellEMC - we have moved the needle significantly in our market relevance leveraging our strong differentiator of DR and Resiliency which complements the strategy of both. In EMEA, we have locked down on our Channel Strategy, have the resources in place, the partners and Alliances defined and GTM plans set. Our goal for 2018 is clear - Execution. Our sales organization is counting on the channel team to build leads and pipeline to exceed goals. With a strong global marketing team in place to provide content and demand generation activities, we are well placed to exceed expectations. Cybersecurity, Ransomware and Cloud Recovery are key areas for 2018. We fill a portfolio gap for our partners with our solutions and this will drive all our GTM programs. In 2018, it would be hard to name one woman who I admire because there are so many. I admire the Time Magazine Person of the Year in 2017 - The Silence Breakers. In reading about all those women, some famous, some anonymous, some young and some old - I admire all for coming out and telling their stories to help others. All the young gymnasts who were strong enough and brave enough to face the doctor who molested them. All these women have something in common - bravery, strength and speaking out for justice to help other women. Trust your intuition - it is always right. Don't be afraid to speak up - you are important, and matter more than you think. Don't be so worried about what other's think of you. Be open to people who are different, you can learn from them, I came from a large family, so I was responsible for my little brother and was always independent and mature for my age - I would tell my 16-year-old self - have fun, let loose a little!! Solution Engineer - I would like to understand to a deeper level how solutions work and be able to discuss and explain cloud solutions in more technical detail. I have the high-level understanding from a sales perspective but believe I would be more credible with partners having SE expertise see in meetings that SE's are almost always male, and I think it would help balance meetings and be more in line with how society looks if there were more women SEs. Promise Me, Dad by Joe Biden. The book was very interesting, poignant and heartfelt as it chronicled the year that followed Joe finding out that his son Beau had an inoperable brain tumor. Joe had to juggle his duties as VP with his responsibility as a Dad and Grandfather. Joe is so kind and strong and had a close, almost brotherly relationship with Obama. One line in the book that especially struck me, "you never know what other people are going through" As you walk past people, be kind and reach out - a great life lesson for me.